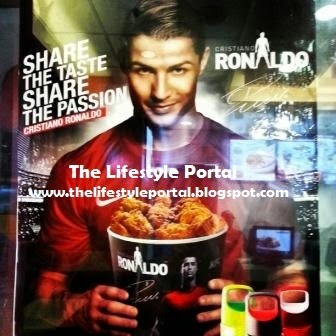 Cristiano Ronaldo Shares his Passion on the KFC Meals! 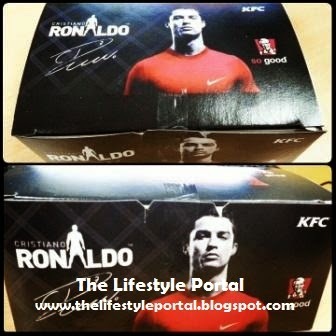 World's hottest athlete-model and this year's Portugal's representative to the FIFA World Cup 2014, Cristiano Ronaldo is featured in KFC's bucket meal. His athletic photo with signature is in the bucket and in the box of KFC's fully-loaded meal. 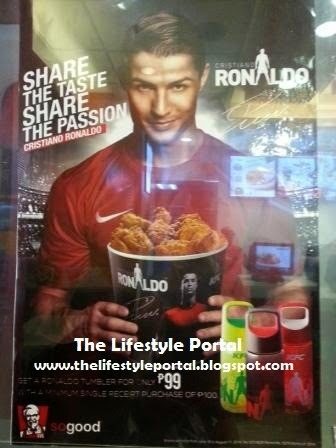 Aside from that, he is featured in the food chain's newest poster with a caption of "Share the Taste, Share the Passion." Aside from this food chain, Cristiano already endorsed before different brands and products particularly garments and underwear.